For today’s adventure, Nacho Patrol headed south. And after heading south, we boarded another plane and headed even more south, and then after that, we drove even farther. While we’re holding out hopes for nachos in Antarctica, this may be as geographically far as one can go to find our favorite dish. 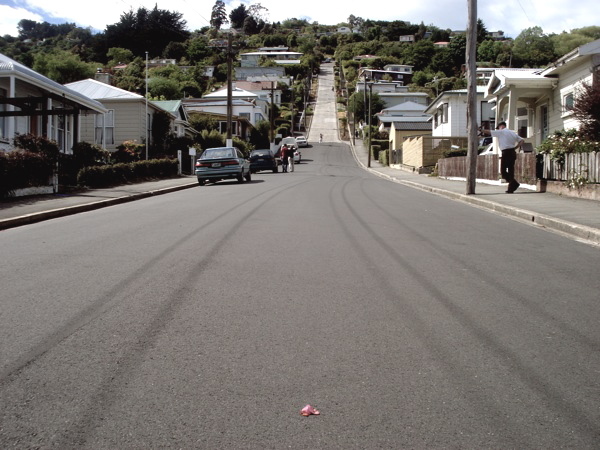 For those of you who skipped your New Zealand geography class, the beautifully hilly town of Dunedin can be found here. They’ve got castles and albatross and penguins and the steepest hill in the world and, apparently, a decent plate of nachos…Decent by South Pacific/Commonwealth of Britain standards at least. Appearance: (7.5) for a place that bills itself as a pizza joint (a word to the wise, avoid New Zealand pizza), Dunedin’s Metro Cafe and Bar–located conveniently in the Octagon–sports quite a tasty looking plate of nachos. With a pile of toppings in the middle surrounded by a sea of round chips, these weren’t what we’re used to, but pleasant nonetheless. Distribution: (6.5) Just when we think we’ve seen every method of distribution out there, Metro gave us something a little different–a ring of crispy chips filled with a creamy center of chili, sour cream, and salsa. Acting much more like a dip than a unified arrangement, it worked for us, though there wasn’t nearly enough cheese. Quality: (6) Here’s what interesting/slightly horrifying about New Zealand nachos–instead of using straight corn chips, they use nacho flavored Doritos. Weird, we know. That in itself isn’t too terrible, but after awhile they become overwhelmingly salty, especially when combined with the subtly sweet chili. It wasn’t bad, but it had us grasping blindly for the water glass. FYI, if you’re a dirty, tree-hugging herbivore, they have a vegetarian nacho. 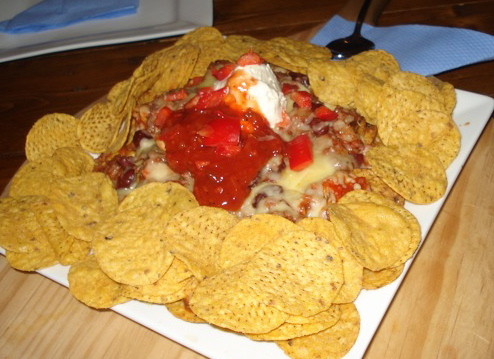 Price: (5.5) These nachos came in at about NZD $19 (USD $13.60). Big, filling, and absolutely too much for two people. But still pretty pricey if you want to get drinks and a pizza as well. Oh Dunedin, in comparison to some of our other New Zealand/England nacho reviews, you’ve done us proud, even if you are about a ten minute walk from the antarctic. I think the “dorito-nachos” phenomenon might be a Commonwealth thing… I’ve found that in the UK, too! In NZ, sadly, we just don’t have many non-flavoured nacho chips. It’s hard to find just salted nacho chips even in the supermarkets! There seems to be a gap in the market, and not enough mexican restaurants! !